When I was an investigative reporter at the networks, the first question we would ask when trying to decide if we wanted to do a story was: How many? How many people have been hurt by a defective product? How many defective products of a certain kind were in use? How many dollars will it take to fix the problem? In the case of the recent mortgage crisis – “Foreclosuregate,” the question of how many has been answered.It has been widely reported that there are a little more than 60 million home mortgages in the Mortgage Electronic Registry System (MERS). If every one of the 60 million mortgages are worth $100,000, that would mean a total of at least $6 trillion in home mortgages that are electronically filed. In MERS, there is no physical written record of a “Promissory Note.” In almost all states, you need that original “Note” to prove ownership of a home. That means in almost every single state, the banks cannot legally foreclose on your home without this document. Some say the loan documents were lost on purpose because the bankers did not want their massive fraud to see the light of day. Whether or not the “Notes” were lost on purpose or accident, the fact is the original “Notes” are nowhere to be found. That is what the “Robo Signing” part of the story is all about. It has been widely reported that “foreclosure mills” were creating massive amounts of counterfeit Promissory Notes so banks could legally foreclose on homeowners. In the post I did earlier this week called “The Perfect No-Prosecution Crime,” I laid out several layers of fraud and white collar crime of mortgage and foreclosure fraud. The lack of the Promissory Note is the biggest of all the problems in this chain of chicanery. Here’s why. A Promissory Note is a financial instrument. It is in the same family as a Federal Reserve Note. For example, if you copied a $100 bill and then tried to spend that copy in a store, because you lost the original, is it still money?–Of course not. You need the original financial instrument (in this case, $100 Federal Reserve Note) to make a legal transaction in a store. The same is true for a Promissory Note. You need the original Promissory Note to legally complete a foreclosure. A counterfeit, or copy, of a Promissory Note is not a financial instrument, just like a counterfeit or copy of a $100 bill is not a financial instrument! Two very big things are going to happen because of this enormous financial fraud. The banks are, once again, going to play the “Financial Armageddon” card and scream for a bailout to save the world. You see, owners of all those mortgage-backed (or un-backed) securities will force the big banks to buy them all back. The big banks do not have that much money and, thus, many experts are predicting another monster bank bailout is on the way. How is that going to be paid for?—with money printed out of thin air, that’s how. This $6 trillion problem may or may not sink the banks, but the next bank bailout will surely submerge the dollar. That will trigger very big inflation. Keep in mind, this is not an event, this is a process that will take a long time to work through. Our present situation is almost beyond comprehension, in fact for most people it might be. The fact, and I mean fact, that our venerated financial institutions are actually criminal enterprises at this point is like something from a Vince Flynn or Ian Fleming novel. Such stories are fun to read and watch develop on the big screen but are hell to live through. The idea of a Mr. Big plotting our the demise of our country through debasing our currency in a conspiracy with our government seems to strike most citizens as ludicrous. Yet here we are. What to expect next? There will be no organized uprising in the near term as those on the side of the robber banksters have a security apparatus effective enough to make that very difficult. Most likely there will be incidents of sabotage involving destruction of buildings, power lines, etc. Such acts will be met with repression unimaginable now. That repression will be met with a public reaction that even the PTB don’t anticipate. From there it will be very bad indeed. Starting over is an American cultural norm. These circumstances are not the ones we want to be the catalyst for such an action. Thank you John George and Blue Smith for the comments both short and long. sadly i believe that the sabotage you are alluding to will come under the guise of islamic terrorism. “al-qaeda will acquire a nuke, and we will get condi rice’s mushroom cloud over some american city. what $6 trillion problem? Great series of articles Greg. How many trillion do you have to print to before we crash the system/ Contrary to what most americans believe, you can not get something for nothing. Very well written & concise, Greg. One of the many things I like about your articles. Since I’m not nearly as well informed in these matters as you, (that’s why I’m here) I’m curious. What about all the folks that have already been foreclosed upon? Will they have legal recourse to go back to the courts and demanding to see the note and possibly having the foreclosure overturned? What would happen to the innocent party that purchased the foreclosed home in good faith? Could they be ordered to vacate the property? This appears to have the potential to get even more complicated than it already is. Thank you for all the work you put into these issues. Who Knows Uncle Joe but the lawsuits will take years to settle. 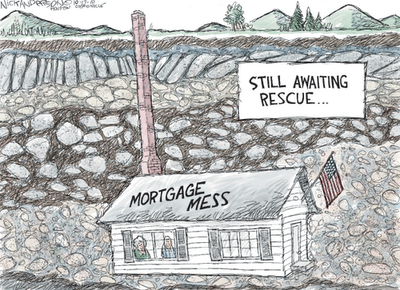 This is a giant mess for people in foreclosure and people paying their mortgage on time. There is no paperwork in the MERS system. Please let us know how your case progresses. Thank you Art, America needs all the prayers she can get! Insightful, concise, direct, to the point, and easily understood. This is Investigative Reporting at its best! However, I believe, as you stated, we are already clearly the United States of Crime in the financial arena. Thank you for your kind words and support. The corrupt bipartisan Senate shifted into high gear in an attempt to override state real estate law and make available to the banksters another fraudulent method for their benefit. I am speaking of The Interstate Recognition of Notarizations Act of 2009, that passed the Senate with unanimous consent and with no scrutiny by the DC media. This legislation critics say would make it more difficult for homeowners to challenge foreclosure proceedings against them. Obama pocket vetoed the onerous legislation. After the elections Obama may move in favor of the banksters saying the legislation is needed to save the economy. So far, Obama has reneged upon his campaign promises and moved in lock step with Bush Era policies always favoring the corporate kleptocracy. I know it makes me sick. Thank you for the comment and info. Regarding “The Interstate Recognition of Notarizations Act of 2009” I think it was 2010 but whatever. I think I saw an article about two or three weeks ago that said although Obama pocket-vetoed the legislation it would automatically go into effect within some timeframe. This would allow everyone in the Senate to disavow the legislation (a voice vote) and the President to disavow the law (since he pocket vetoed it). Does anyone know if this is true? Imagining possible scenarios are great lessons. I have a good story: Once during a trip to South India in the mid-1990’s I entered the Ashram on a fairly busy arrival day. At that time, the Registration process wasn’t computerized. A handful of elderly gentlemen were in charge of registering the foreigners by manually entering details in a slew of ledgers. It really slowed down the process when you had a long line up waiting to get a room inside, and once you made it to the doorway, there were a group of chairs that you’d sit on round-robin style until you reached your turn. The lady I’d selected to room with, well we had A LOT of time on our hands to imagine the various scenarios that would allow us to board in a room together. You weren’t allowed to room alone (unless you were a donor and I wasn’t a donor until the late 1990’s), and you might have up to 8 folks in one room. Everyone wanted to avoid the sheds where there was very little privacy, and no one wanted to stay with 8 women if less was an option. Believe me, we must have imagined about 40 scenarios by the time we sat down on the last of the chairs in the narrow Registration room. A gentlemen took our Passports (the customary procedure), and proceeded to grill us with questions. We were lucky that afternoon when he sauntered over to the wall of keychains, selected one and handed it to my girlfriend. But, did any of our scenarios materialize? No! His decision was based on yet another option that we never thought of. It was a great lesson that I’ll never forget: no matter how many ways you might imagine a solution, it may happen in some manner that you never considered. Divine Intelligence likes to surprise us… there’s some great joy in that and you begin to sense the immense possibilities in life. How much longer do you think the rest of the world will tolerate these financial and legislative shenanigans in this country? The Pentagon is right when they say our debt, indeed our entire financial position, public and private, is our single greatest national security issue. I remember in the 80’s a phrase heard often, purportedly originated by the Japanese, to the effect “Business is War.” If so, there are growing economies in the world that would like nothing better than the removal of the USA from the world stage. Seems to me nothing more than a growing economy and reserve cash would need little more than a small trigger to send the ponzi scheme that is the US economy into the abyss. I daresay the finger is already on that trigger; it’s nothing more than timing now. We had better get it together – pray it’s not too late. Greg I think the whole thing could go bust before anything meaningful is done, but I hope I am wrong. Thank you for your comment. Funny how none of this is reported on Squawk Box. I don’t think that is an accident either. Thank you. You are truly doing God’s work. Thank you for taking care of our brave service men and women!! Also, I’m currently in a trial modification for 3 months… If they decide to make my mod permanent, do you think they will do this in the form of a new promissory note in order to make it legal? If so, this would probably lead to a huge surge in modification approvals. Thanks for the great article Greg. I just do not know what they’ll do, but so far the entire industry has acted crooked. You better get familiar with what a Promissory Note is and what has to be done to foreclose on your house in your state. That is my best advice. You also might want to talk to reputable real estate attorney don’t try to save a few buck here. You might be in for a nasty surprise. These “three month trials” sometimes end in denial after the bank has its reward from the Feds. At that point you will be charged for the difference you should have been paying plus interest etc. I hope it doesn’t happen but it already has for a number of people. That is why the mortgage mod has not “helped” as many people as expected. The banks forced to buy back all those mortgage-backed securities……. ?…… Not possible! If the Crimex can sell 45-100 ozs. of paper gold for every real gold oz. in storage, can you imagine how many times each promissory note was fraudulently and electronically duplicated, then bundled up with criminal intent, fully backed by rating agencies with a blind eye from government overseers? Then this toxic waste was packaged into MBS’s and sold multiple times on top of that abroad, to our own pension funds and to whomever fell victim to the greed and easy money factor? A natural human phenomena they counted upon and were right. A very sinister scenario I realize but truth smacks hard sometimes! I am not very optimistic having watched my co-opted government in action over the last decade. If one sinks into this sludge of a sewer pond perhaps $6 trillion x’s ……..(you fill in the number here) would be the real amount of this crime upon humanity fully backed by the scum…(you fill in the names here) of the people that not only allowed this crime to be committed, but perpetuated it…! !…And Greg, keep up the good work, as always…. You are right on target here. I just wanted to give a number for the mortgages in MERS. They did sell the same mortgage many times, so the real exposure for the banks in mortgage-backed securities is probably many times $6 trillion. This is big, very big. Thank you for adding to this post. All of your recent articles are funneling into a book which I am currently reading. The author is Dr. David Jeremiah and the title is The Coming Economic Armageddon, What Bible Prophecy Warns about the New Global Economy. This book is a must read but I warn you to buckle your seat belt when you begin. Currently I am on chapter 7 Financial Signs of the End Times. I hope you and your followers will read it. God help us. Greg,I have read & re-read these articles & they struck a nerve to share them. Most of these big bankers carry duel citizenship, you know what that means,right! We need to watch for Obama’s progressives trying to pass any bill right after the 2nd of Nov! 2> “The Deep Cause of the Great Financial Crisis: The Peace Diktat of Versailles”,http://www.goldseek.com/GoldSeek/1286460000.php. Greg, Professor Fekete’s has laid out the truth about the “REAL BILL DOCTRINE” & why it was not re-instated along side with the GOLD STANDARD AFTER WORLD WAR I. The knowledge he carries about economics has been noted as huge,he was asked to attend Obama’s economic team in a meeting where Fekete present Paul Volker a letter to where P.V. & the others rejected, they did not want to hear or do the right thing because this is how Progressives work. This is why it took until Oct,3,2010 for Germany to pay off its debts from WORLD WAR I. JUST THINK ABOUT THIS,IF THE “RBD” HAD BEEN PUT IN BESIDE THE GOLD STANDARD AFTER WWI. WOULD THERE HAVE BEEN A GREAT DEPRESSION OR WWII???? We will never know,but we must look at the RBD & try to get the people to understand how simple it is! Will the dollar crash? Most of the Sane economist think so! What then? All that I do know is to seek out answers from those that believe in freedom,sound money backed by Gold/Silver & small gov. 3> Current Articles,http://www.professorfekete.com, Oct,27,2010 is from the DailyBell.com by DR.L.H. 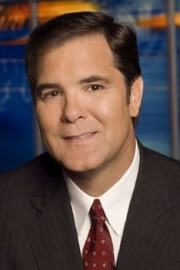 White, he answers questions in detail about the “RBD”, HOW IT WORKED IN THE PAST & HOW IT WOULD WORK IN TODAYS MARKETS? IT IS GREAT READING FOR ALL. Greg, THE REAL BILL DOCTRINE WHERE “CHITS” WOULD BE ISSUED TO TRADE FOR GOODS & SERVICES, WE USED THEM IN THE US NAVY TO GET NEEDED SUPPLIES EVEY DAY,I KNOW,I WORKED IN S1 DIVISION,THE HEAD OF ALL SUPPLY DEPARTMENTS ABOARD A SHIP.THE SAME SYSTEM IS STILL IN USE TODAY & IS SETTLED WHEN THE CHITS ARE TURNED IN FOR PAYMENT IN FRN’s TO RESTOCK THE NEEDED SUPPLIES, I NEVER REALIZED THAT I HAD USED THE “RBD” UNTIL I READ THESE ARTICLES. The power of thought is unlimited if you think about it. Thanks again for such a fine place to think out loud. You have a good brain. Think out loud anytime on this site. These numbers simply boggle the mind. $144 billion in wall street pay this year/$139 billion last year. Yesterday Max Keiser stated that 25 hedge fund mgrs each pocketed over a billion this year and one would assume most of these monsters made a billion last year and the year before etc, etc. At what point does a multi-billionaire stop and say “ok, I’ve got enough to take care of me and mine… maybe now I can stop throwing poor women and children out on the winter streets to starve”. Note to all the “patriots” working in the pentagon: these are the people you are working for and protecting. Even the Wall Street crooks know the first rule of investing: “pay yourself first,” and they are!! Thank you for your comment. 60million p-notes….with MERS…?…….hard to believe that NONE of those cannot be tracked down…..a reasonably small percent maybe, but…..ALL of them….hardly! It is hard for people to grasp the enormity of the problem, but it looks like you do. Thank you for the comment. According to Stephen Meister, interviewed on KingWorldNews.com on Oct 21st, lost notes happen frequently and are easily remedied. As long as it can be established that the note was assigned to the bank or investor, they can get a Lost Note Affidavit and the foreclosure can go forward. However Stephen Meister didn’t mention the bolded item below when he defended HR 3808. H.R. 3808 requires federal and state courts to recognize notarized documents from other states, including ones that contain electronic notarizations that are not subject to the same consumer safeguards of documents notarized in person. Thank you for this info. I hope this does not become law. What a mess! including ones that contain electronic notarizations that are not subject to the same consumer safeguards of documents notarized in person. It’s unfortunate that the majority of the populace seems to be more interested in the lives of ‘Snooki’, ‘The Situation’, ‘Lindsay Lohan’ & ‘Charlie Sheen’ instead of what “really” will have an impact on their lives. I myself am not in the best of positions (monetarily) to brace for the impact, although I am educating myself, for my family, to attempt to deal with the coming crisis in my own way. I pray that others will get a grip and do what has to be done to protect their families. Learn to fish, learn to garden, learn to shoot. Make peace with your neighbors. I also blame the mainstream media for falling waaaaaay down on their duty to inform the public. Thank you for your perspective. Thank you for the hard and thorough work that you do. It seems there are even more problems at different levels. Without original mortgage and note documents and satisfaction of mortgage documents, what happens when someone pays off their loan and seeks clear title and deed? What happens when someone current with their mortgage seeks to sell their house and the Title Insurance Co. cannot find clear title and thus will not issue title insurance? Now it appears the big money banks are forming separate entities (funded with bailout money?) that are buying up tax deeds and tax certificates to get another crack at people’s homes. If they cannot foreclose, maybe they will get the house from another angle. It will probably be less costly to them than fighting the battles in foreclosure court. This article spells it out. (http://huffpostfund.org/stories/2010/10/new-tax-man-big-banks-and-hedge-funds) About 1/4 down in the article it states: “Some banks also are packaging tax liens as securities – in a similar way to how unpaid home loans are securitized – and selling them to investors.” This is wild! What a mess! It is impossible to deal with crooks when our only protection is an almost non-functioning government. It looks like we have a government of the criminal, for the criminal, and by the criminal. Congress is a disgrace and I mean BOTH parties! Thank you. I work in the ‘Big Boy Toy’ business, and I dont mind an ethically productive person enjoying the fruit of his or her labor, but this fraud-o-nomics is sooo beyond the pale. I have seen the toys bankers are buying… and its wrong in the face of so much pain, never mind how wrong their profit method is by law. I hope the Congress does enforce the laws at the very least, but at what cost so late after the crime? Wow. CONgress. Just down the street from where I live is a house originally built for Bugsy Siegel. About a mile away is another that was built for Al Capone. They would have been proud of their bankster brethren, but would they have loved our current governmental environment even more? Thanks for keeping the news coming; you are one of many I have been reading during the last 10 years. I love Jim Willie, too, but Jim Sinclair is my longest read, a big favorite, and the one who introduced me to your writing. Thanks again. Thank you so much for the kind words. I am a fan of Mr. Sinclair too! Greg,after watching the news today,it looks hopeless that Americans are waking up as I hoped,why, just turn on the MSM on & there it is. Fox biz gets close,but no real truths,& we know why! But those of us that know TSHTF, MUST CONTINUE TO SPEAK OUT AS MUCH AS WE ARE ALLOWED. I spent all morning getting my only Grandson & Family back to the safety of home where there is plenty room to grow food,the rest of time was spent reading more data! Greg,My Dad never went to school,but he could survive toting cross ties on his back for 5 cents a day for the railroad & taught me more than any school I have been in beside the US Military, & that was to respect your ermines because it will save your life,believe me,it’s true! I have also never disclosed that I am & have been Disabled(physically) since 1982, but I have worked(because the gov Docs said So), re-broke the same leg 3 times while working in the work place, Over 50 times I had saved a fortune,to only give it away to the Medical CABAL. No More, I will read, post, try to give insight to all how to not get ripped off by the Docs,Big Phrama bunch & so called political machines. My time on earth will end when GOD Says so,but I think,even when the Pain gets so bad,he will allow me the strength to pass on “His words” & of those of real truths,Like You! Please relay this TO YOUR READERS(the LORD MY GOD OWN WORDS)! Wait on the Lord: be of good courage;and he shall strengthen thine heart: Wait,I say, On the LORD.Psalm 27:14. I am very proud to have been a part of the best there is in Humanity that is “Greg Hunter” & the fine folks at USAWATCHDOG.com, YALL ROCK! Thank you for weighing in here! Thank you so much for a great investigative work. Although this mortgage fraud has been fought in the courts for some years now and the news-letterists were not eager to publicize it. I’ve heard Jim willie saying, (I think it was an interview with kings radio and posted on outube) “oh I’m not telling them (listeners/readers)anything, just a little bit and some more to the paid subscribers, they don’t know what’s being done to them…”. But better being late than never. when banks sold those securities, they collected money from the investors. Why not using that money to reimburse the victims? trillions of dollars don’t disappear overnight. Whn banks issue money from nothing, everybody in the world ends up paying for it. pension cuts in California, France, India or Iran are feeding the same monster who already has control over more than half of the preferred wealth on the planet. Election commissions, TV Networks, movie studios and countless blogs and well-publicized internet sites, without a doubt, among them. We don’t want printed paper money, dollar or Euro, weak or strong as we know that strength of one currency is due to the devaluation of other currencies. it’s the printing of Euro and Yen that makes the dollar look rising. Legalizing the crime may very well be on the banksters agenda. They are already trying to legalize marijuana and guess who’s pumping money into it? george soros, a major player in the derivatives theft. You describe this mess perfectly. I agree with your assessment. Thanks. The question that I have is did citimortgage commit fraud at my bankruptcy a few years back. If they didn’t own the note of a collateralized loan, but instead my note had become unsecured should my up to date mortgage been cleared with all the other unsecured debts? What about the money that I continued to pay since so that my house couldn’t be foreclosed on? Me thinks something stinks. I think you have a very good sense of smell! Thank you for your perspective on the “Why.” There are so many bad outcomes for all this, it is mind boggling. Thank you! I’m another one who believes that the only way that our “handlers” can settle the upcoming unpleasantries is by creating a false flag dirty nuke in some city. Think about it, that could destroy a doomed dollar, install the much craved for martial law that our owners want and push us into some global currency scheme all at at once. An event like this is what I fear most since it would solve many of the problems faced by the globalists. I refinanced my home last year, my note says MERS is the trustee. I want to pay off my mortgage, since I cannot establish who the owner is at this time, i do not want to pay off the mortgage… forever, in fact I am thinking of taking a second mortgage on my home until the dust settles..
What a mess, I’d hold on to my money for awhile too! First I want to say you have some great articles at your website which needed to come to light, explored and acted upon. Besides the article, the comments give me hope that in the end things will work out. Our anger and frustrations and the inability to eleviate our countrys problems has had a paralyzing effect on all of us, to the point of solid polarization of which way our country should be headed. To find a solution would be nearly impossible if we do not understand what has happened to ALL of us. To overthrow a existing government without force but by sedition there are four criteia to be met. First. Controll the news media. Where are the investigative reports and editorials we once veiw on the news. Why do we have to find outsides sources to even know what is happening in the world. Second. Control the money. Our money is almost worthless since the formation of the Federal Reserve which is not a United States Bank but for all purposes a Foreign Banking Conglomeration. Third. Control Education. We as a nation that has dropped to 12th in world standing and my state is 47th in the educational bracket. We produce more functional illiterates then ever before and what is taught is not conducive to a prosperous nation. Forth. Stymie the politcal system. Notice, even as we hope for change by elections, we do not obtain it. We must free the Press and let them do their job. We must expose the Fed for what it truly is and what damage they have done. We must change education standards and subjects to reflect reality. of a changing world and that of a foundation on which the country can grow in prosperity. We must instill fear in our political system, even the Surpreme Court, that they work for the people and not the banks and corporations. Tar and feathers anyone? I offer this as a beginning of a solution. It has been long in the making of our problems and there is no overnight fix. This is good stuff man! Thank you for adding to this post and site!! As a previous reader has noted, Congress has already passed a law to legalize this foreclosure fraud. O’Bushama will sign it into law after the elections. This will only be another day in the park for these criminals. By the way, The Federal Reserve is not a government agency as ruled (and unchallenged) in the federal courts; John Lewis v. The United States. I don’t think Congress can pass a single law to make all this fraud legal. There are just too many layers of fraud for that to happen. I do think CONgress will pass some laws that will favor the bankers. I hope we are both right and wrong at the same time. Thank you for your comment and support. There is clear fraud involved in the banking system that has lead us to this place. The fact that the banking system (or more specifically many individuals within the system) acted fraudulently does not excuse people who entered into valid IOU’s (promissory notes) from their obligation to someone. The question is who they owe. If the American Public has to take over the mess (bank liquidations) the American public should become the note-holder. This is a mess that will take years to untangle and we should not be quick to allow the thieves to remain in place by bailing them out. We should take over the mess and work through the bramble to get to the bottom of the facts no matter how long it takes or crooks will realize that if they tangle things up enough we will get lazy and just throw up our hands. Our whole country has become this way much like my younger brother exclaimed. “There’s no problem too big that I can’t run away from it.” How wrong he was/is. The piper is always there demanding his pay. If we let these guys skate we will have to pay or worse yet our children or grandchildren. I disagree with slingshot’s analysis stating that “we must instill fear in our political system.” That will only bring a totalitarian state. Reverence yes fear no. What suggests is replacing God with government. We need a people that is fearful of God. That will cause us to treat each other with respect and dignity. To keep our word to each other. Thus far and no further. We must stand resolute and get to the very bottom of this fraud! Thank you for your comments and informed opinion. Well Mark, that may have been a poor statement but the Holier than Thou or I know what is best for you attitude, is not going to cut it anymore with me. I do respect the office they hold and they should do the same or resign. I do not care what party they belong to and with all that power to disperse our tax money in whatever manner and to whomever, concerns me. Especially when that money could be used to help AMERICANS first. To keep their word is another hard pill to swallow as they defend themselves by Congressional Compromise to go against the very platform they were elected to office. That tells me they do not care what we say after they are elected. They are in, home free with all the benefits of the position. And by George, we do need more God Fearing politicians. May keep them from doing more of the same to us, having a conscience. Separation of Church and State was to keep the church policy out of politics, not band him from Divine Guidance. The totalitarian state would be hard to install as the Constitution is still intact and besides there are plenty of political candidates to fill the gap for those with weak back bones. I want Congress to know they are accountable for their actions and we are paying more attention to their actions as never before in History. GET OUT AND VOTE. IF YOU DO NOT VOTE YOU CAN NOT COMPLAIN. Thanks Mark, for your words. When did Eric Holder pass away? I must have missed that. We just need to look at all this in a new way. Housing need to be made even cheaper for the workers can afford them. As they inflate the money this will help to bring homes down even more you would think this would cause the price of homes to go up but the Cheap labor around the world is not flocking here to buy these over high price homes and commercial buildings. When Japan had a surplus of are money they brought that money back here and bought at fair market price because things cost so much in Japan. Now you take China are India they have no reason to buy in to this high price market. Free trade is a balance of wealth spread out around the world we come down others come up 2+2=4. The only reason the dollar is being inflated some what slow we must thank are army boys who will kill to keep the dollar tied to oil. China understands this they have been made wealth by the American people giving up so much to them and don’t mine us controlling the oil for now, China has big oil contracts with the Iraq. When you see are Army brought back to this country an retired the corporation will have there contract people in place to control the oil. When the boys come home no longer will the oil be sold in dollars. I don’t no what oil will be trade in but be sure the the big corporations know. Just like 911 nothing personal just business. Thank you Bob. Someday and maybe sooner than we think oil will not pe priced in dollars. When that happens a bicycle will be a necessity. If the loan was processed with MERS, there will be a MERS FEE on the settlement statement. By the way, every loan is filed at the courthouse of the county therein, so every servicer of a loan has the paper that proves the loan. I don’t get what the big deal is. maybe the servicer doesn’t know who to pay the sale from foreclosure proceeds, but that doesn’t stop the foreclosure. Many legal experts say otherwise. Thank you for your comment. How will this impact people’s 401K’s? I have these 2 co-workers who continuously tell me about how “well” their 401K’s are doing and I don’t quite understand why they trust these huge mutual fund companies to do the right thing. Neither of them have that much (about $350K) but they check their accounts every day and when I ask them where their money is, they don’t really know. It’s in a pool they answer. A different fund here, a different fund there, but as long as it’s up 15% or 10%, they believe they’ll be fine. Now and in the future. Are 401K’s still a good savings option? People are contributing, but they don’t really know where their money is going or who even has it. So, what would you do? Join your companies 401K plan with the matching contribution or save your cash and buy gold and silver? The owners of the Wall Street “casino” are not going to let your work mates walk out with all their winnings–no way. You already know what I think about gold and silver coins, everybody should have some for protection and security. If the original mortgage values were based on inflated prices and was really just paper money, why is everyone up in arms over the losses? Also if everyone is defaulting on these homes this means they are not paying rent/mortgage etc. which will free up money to stimulate the economy in other areas, what is this impact? The economy was stimulated by people not paying their mortgage, but that is ending. Thank you for your comment. So, if you had a choice of joining a company matched 401K plan, would you? I guess I’m asking for the middle-income American earner who is not yet close to retirement and who has limited funds and can’t do both (i.e. buy gold AND invest in the 401K) you are saying that they’d should instead by gold? I would put no more than the company match in the 401K. There is also an argument for diverting all of your 401K money into PM’s. You must make that decision on your own. I do not see how you go wrong buying PM’s especially silver. Kitco just sold out of Silver Eagles. Good luck. We need more people like you out there who are fighting for truth. I admire your courage for speaking up and hope that you take your site to the next level, maybe adding a weekly video clip or other. Retroactive immunity ala the telecoms after they criminally spied on Americans will be coming. In addition to the other “remedies” already stated.